What do you need to know about Roth IRA taxes? Is a Roth IRA tax-deferred? Can you claim tax losses for your Roth? These are all legitimate questions you definitely need to know the answers to. So take the time to learn the tax rules inside and out. Because knowing what you can and can't do with your Roth IRA can save you money in unexpected taxes and penalties, not to mention the emotional headache of dealing with the IRS. So learn those tax rules! Lucky for you this site has all the answers. So if you don't find what you're looking for on this page, use the 'Search This Site' box in the left sidebar. In the meantime, let's tackle the first bullet on the list... Tax deductibility. Can You Claim A Roth IRA Deduction? It means you must fund your Roth IRA with after-tax dollars, rather than pre-tax dollars taken from your paycheck prior to taxation. Because you pay income taxes on your Roth IRA contributions prior to funding your Roth IRA, your withdrawals after age 59 ½ are tax-free. Because saying Roth IRA investment gains are tax-deferred implies that those gains will be taxed sometime in the future. Thus, the term "deferred." Since your Roth IRA contributions are made with after-tax dollars, your qualified withdrawals later on in life are tax-free. So, essentially, once you fund your Roth IRA (and assuming you follow all the applicable rules), you never pay taxes on your Roth IRA funds ever again. The Roth IRA tax credit is available to individuals who meet certain criteria. If you qualify, you may be able to claim a tax credit for as much as 50% of your Roth IRA contribution. 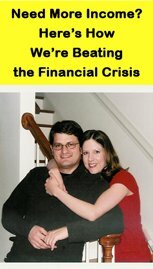 Read Is There A Roth IRA Tax Credit? for more details on how to take advantage of the tax credit. Can you claim Roth IRA losses on your tax return if your Roth IRA investments underperformed? It's not as cut and dry as claiming a loss from a regular taxable brokerage account. If each of these factors applies to your particular situation, you might be eligible to claim an itemized deduction for your Roth IRA loss. If you think this is the case, read Can You Claim a Tax Loss on Roth IRA Losses? for more information. It's important to know the rules governing Roth IRA taxes. Because if you're ignorant of the rules, you might inadvertently trigger a tax liability or an early withdrawal penalty as a result of funding your account or making a withdrawal from your Roth IRA. So what can you do with your Roth IRA? However, just like the things you can't do, each of these rules has an exception, so make sure to do your homework before making any contributions or withdrawals from your Roth IRA. 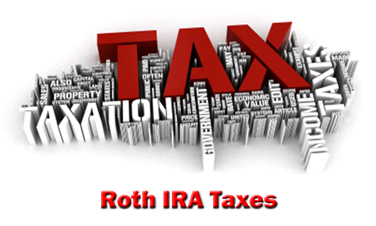 If you have any questions on Roth IRA taxes, this site has lots of information on the topic. So take the time to explore the site. If necessary, perform a 'Search This Site' query located in the left sidebar. Hopefully, you'll find what you're looking for!